"Energetic. Used a range of different methods to engage the group." "Awesome. Very valuable. Good facilitator." "Kept me engaged which is not an easy task generally." "Very enthusiastic and engaging. Of all the manage/lead training - this had the most useful content." "Beautiful delivery. Great at keeping us on track. Kept me focused." 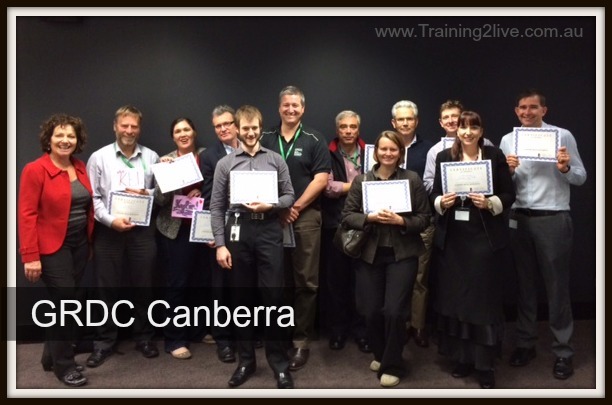 "I would love to attend another seminar that Victoria presents as she reads the audience well. There is so much information and so much more to share and learn." "Energy levels unbelievable! Multiple skills in presenting to keep us attentive and learning." "Victoria has done a great job tailoring this course to our organisation and the needs of our managers. She was a dynamic presenter and made the course come alive." "I wish to thank you for the exemplary work you've put together in delivering the subject training to a high standard." "Victoria held everyone's attention and uses real life examples to help us relate."